There has been SOOO much going on here on Hawaii's Big Island that I don't know where to start talking about it. So perhaps the solution is not to start at all, but just get on with my papercrafting life! We are in a temporary rental home while still trying to maintain our own home and garden in another area of the island. So my craft room is in a bit of, shall we say, disarray? Yup, it's a mess. But I do have enough of my supplies out where I can find them, and so I had to make a card! When the Stampin' Up! 2014 Holiday Catalog was published, I sent in an order for all kinds of products that I thought I'd enjoy using during September and October this year. The good news for me is that, even with everything that's been going on, I still have plenty of time to play with – AND show off – some of my Halloween goodies. Today I'm featuring the Fall Fest Photopolymer Stamp Set, along with the Fun Fall Framelits Dies. I love being able to stamp something like those fun pumpkins and not have to sit and cut them all out by hand just because I want them to pop off the page a bit! The stamp set and the framelits dies are sold singly, but also as a bundle for a 15% savings! 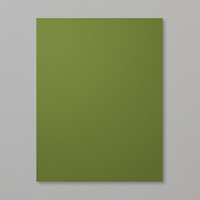 The paper I used as a background is one of the sheets in the Color Me Autumn Designer Series Paper set. I used Mossy Meadow Cardstock for the card base and the leaves cut with the Framelits set. 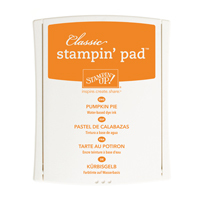 To stamp the pumpkins, I used Pumpkin Pie Classic Ink (of course! 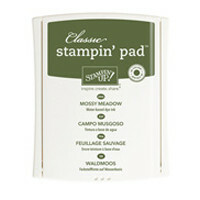 ), with the facial expressions stamped in Mossy Meadow Classic Ink, all on Very Vanilla Cardstock. 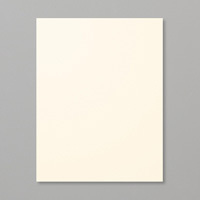 I also used the Very Vanilla Cardstock as the layer for the inside of the card. I adhered the letters, cut with the Little Letters Thinlits Dies using Mossy Meadow Cardstock, onto the inside of the card using Multipurpose Glue. The front of the card is cut so that there's only a 1-3/4" front piece. I got the idea for this layout from a video made by super Stampin' Up! demonstrator, Dawn Griffith. She made a card with flowers along the front strip, but I sure do like the pumpkins! I am including a layout with measurements to show how I cut my card. But before I do that, I'd like to point out that I stamped the back as well as the front of the pumpkins. Stamping and cutting the front is pretty easy to see how to do. But the back is a slightly different story, especially as the pumpkins aren't symmetrical. Nonetheless, what I did was to stamp and die cut the pumpkins. Then I stamped the same image on the back of the cut pieces. Since they're not going to show much from the inside of the card, I wasn't too worried about how the bottom of the back would look. So I worked to make sure that the tops of the pumpkins were as even as I could make them. This is a lot easier than with rubber stamps because this stamp set is Photopolymer, so I could see right through the stamp to make sure it was even. Finally, for each of the pumpkins, I used my Pumpkin Pie Stampin' Write Marker to color in areas where the stamped image didn't quite fit. This will be a nice card to send to someone special in advance of Halloween, and there's a nice space in which to write a personal note from me to her!